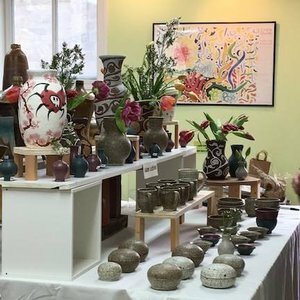 Enjoy the friendly atmospheres of four local pottery studios as we showcase twenty five nationally recognized potters. • Pottery Demonstrations along with guest Larkin Silverman of Lumos Yoga Barre, demonstrating wellness for makers with the MELT method. 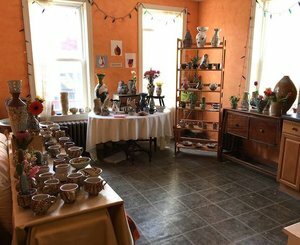 Ongoing Pottery Demonstrations during this Neighborhood Arts event along Fairmount Avenue, with live music, art in businesses & on the street.